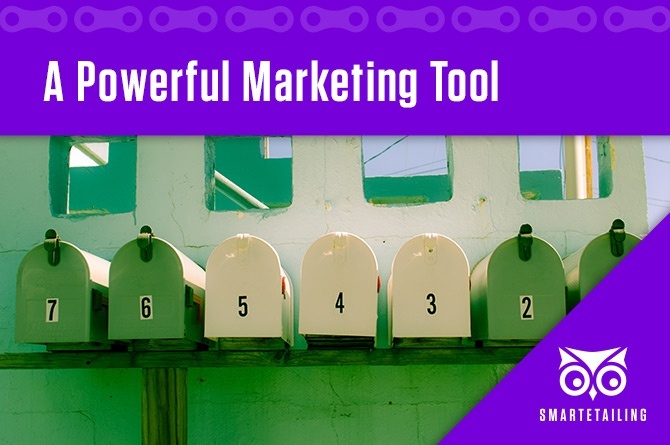 You may have heard a rumor going around that direct mail is an outdated marketing tool. Maybe you think the internet has all but made marketing through direct mail obsolete. We have to let you in on a secret. Those rumors are wrong. In fact, according to research conducted by The DMA, the response rate of direct mail is 5.1%. That might not seem like a lot, but when you compare it to the response rate of email (.6%), paid search (.6%), online display (.2%) and social media (.4%), it becomes abundantly clear that direct mail is still very much alive. But, why is direct mail marketing so effective? Especially when email and other digital methods are so profuse? According to The DMA’s report, much of it may have to do with just that: digital overload. The report notes that consumers are becoming overwhelmed by their cluttered inboxes and are therefore finding the uncluttered nature of direct mail somewhat refreshing. In reality, however, it’s much more than that. One study conducted by the UK Royal Mail concluded that, “giving, receiving and handling tangible objects remain deep and intuitive parts of the human experience.” 60% of those polled said direct mail postcards made a more lasting mental impression than other media. 57% said direct mail made them feel more valued and created more authentic relationships. And guess what. We’ve got another rumor to debunk. You know…that idea that millennials are so attached to their smartphones that they couldn’t possibly be bothered with postal mail. Turns out, that’s wrong too. In fact, one Gallup poll revealed that 36% of people under the age of 30 actually look forward to checking their physical mailboxes. 95% of people aged 18 to 29 reported having a positive response to personal letters and cards. And since this generation now has the most spending power of any other demographic, this is something that should not go unnoticed. So, how can you tap into this goldmine of opportunity for your business? Here are a few ways to effectively use direct mail for bike shops. In today’s multi-channel marketing world, it can take 18-20 touchpoints to reach a customer for the first time. Direct mail provides a great complement to your other marketing strategies and enables you to keep your brand top of mind with potential shoppers. Conversely, direct mail campaigns can also be effective in driving traffic to your website. 64% of recipients will visit a website in reaction to direct mail and 54% will engage with a brand on social media after receiving a piece of direct mail. Nurturing more engagement with customers is an excellent way to nurture leads and strengthen relationships with your customers. We mentioned that a good percentage of people who receive direct mail will go online to learn more, 47% of people will go a step further and head directly to the store. Without question, direct mail marketing is a highly effective tool for generating more sales and boosting revenue. For customers who aren’t anticipating making an upcoming purchase right away, direct mail provides a great way to create demand and entice those customers to become buyers. Use direct mail to announce your next big sale, excite customers about new product offerings, or send out a special discount to reward customer loyalty. You already know that once you get those customers through the doors of your shop, you can effectively close the deal. Direct mail marketing is an effective tool for attracting that foot traffic. It can cost up to five times more to acquire a new customer than retain an existing one. Yet, an increase in customer retention rate of just 5% can boost profits by 25% to 95%. What’s more, the probability of selling to a new vs. existing customer increases from 5-20% to 60-70%. And lastly, existing customers are 50% more likely to try new products and spend 31% more compared to new clientele. Without question, customer retention is one of the single most profitable goals your shop should have, and direct mail offers an effective tool for achieving that goal. For instance, you can use targeted direct mail lists to extend special offers and exclusive promotions to your best customers, thereby generating loyalty and ultimately boosting your bottom line. Interested in promoting your summer sale with direct mail, but not sure where to begin? Our team of expert graphic designers can develop the perfect campaign for your shop. Check out our samples gallery for some direct mail examples and then click here to get started.